Revitalize your entire body with the healing power of our massage therapist in Annapolis, Maryland, who provides 1/2 Hour, 1 Hour, 1 1/2 Hour, and 2 Hour massages in Therapeutic, Hot Stone, Escape and Swedish massage. Escape to luxurious comfort with Escape Massages. We achieve relaxation through effective massage therapy techniques. This is a private and self-contained type of massage that targets areas of your tension and stress. Once you complete a brief questionnaire, we cater to your needs with a relaxing massage that melts your worries away. 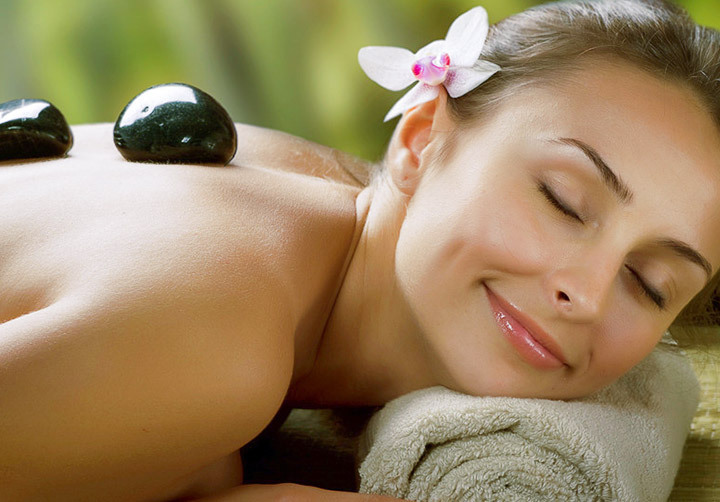 Using heated stones, our hot stone massages help to increase blood flow and relaxation throughout your entire body. It also allows our massage therapist to get deeper into the muscle without discomfort to you. Enjoy the warmth and soothing nature of this unique technique. A Swedish technique is one of the more popular massages. It is a full-body general massage that relieves your muscle tension from head to toe and front to back. Escape Massages offers these massages to those that want the ultimate massage. We offer 30, 60, 90, and 120-minute massages for you to enjoy. We are Escape, we focus on taking your massage experience to the next level. At Escape our high quality training gives our clients the best experience they've ever had while visiting a massage therapist. Escape knows massage therapy,Thai, Swedish, Pre-Natal, Deep tissue and more! Come visit us today and relax, we will take care of you! Swedish massage is the most common and best-known type of massage in the West. If it's your first time at the spa or you don't get massage very often, Swedish massage is the perfect place to start. If you want deeper work and can tolerate more pressure, even some momentary discomfort to get relief from muscle stiffness and pain, it's better to book a deep tissue massage, which is another form of Swedish massage. Swedish massage (and other types of therapeutic massage are performed by our trained, licensed massage therapists. It can be slow and gentle, or vigorous and bracing, depending on what you want to achieve. Prenatal massage shares many of the goals of regular massage, to relax tense muscles, ease sore spots, improve circulation and mobility, and just make you feel good. But it's also tailored specifically to the needs of pregnant women and their changing bodies, and we are trained in prenatal massage adjust their techniques accordingly. The therapeutic benefits of massage for pregnant women haven't been studied very much. There's some evidence that massage may help people who suffer from low back pain and possibly those with chronic headaches, but the studies weren't done with pregnant women. In any case, massage may decrease stress and promote relaxation, helping you cope with discomfort even if it doesn't specifically alleviate or prevent it. Thai massage is believed to have been developed by Jivaka Kumar Bhaccha, physician to Buddha, more than 2,500 years ago in India. It made its way to Thailand, where the Ayurvedic techniques and principles gradually became influenced by traditional Chinese medicine. For centuries, Thai massage was performed by monks as one component of Thai medicine. Thai massage is more energizing and rigorous than more classic forms of massage. Thai massage is also called Thai yoga massage, because the therapist uses his or her hands, knees, legs, and feet to move you into a series of yoga-like stretches. Many people say Thai massage is like doing yoga without any work. Muscle compression, joint mobilization, and acupressure are also used during treatment. People describe Thai massage as both relaxing and energizing. the scalp can help stimulate the nerves and blood vessels beneath the skin while calming muscle tension around the head. Although many different cultures have used massage as a form of therapy for thousands of years, it's possible to trace the history of the head and scalp massage to India. Your hands and feet do most of the work you perform each day. Regular care of them is essential and a massage is a great experience for which your hands and feet will thank you. This is the perfect way to reward your hard-worked limbs. Relaxation and comfort can be added to any service. Hot Stone Massage is an exciting massage treatment sweeping the country. Basalt stones are heated and applied to the body in relaxing, unique ways. Hot stone therapy goes beyond the physical experience of typical massage and enters deeper dimensions of relaxation, health and well-being. Physically the circulation and metabolism are stimulated; mentally the client reaches a state of deep relaxation and spiritually is balanced and healing takes place. Hot stone therapy combines massage with the use of smooth, heated basalt stones, which are applied to the body as an extension of the therapistâ€™s hands. The warmth of these heated stones penetrates muscles and balances the nervous system like no other treatment. Crystals can be used to help balance the body's energy centres. works as the pressure techniques applied to the feet or hands interact as a part of the body's nervous system creating: relaxation, improved circulation, exercise of the nervous system and the benefits of touch. Pressure sensors in the feet and hands are a part of the body's reflexive response that makes possible the "fight or flight" reaction to danger. Feet ready to flee and hands ready to fight communicate with the body"s internal organs-think adrenal glands and adrenal... to make possible either eventuality. The sudden adrenal surge that enables a person to lift a car is an example of this coordinated activity. Pressure is applied to the feet and hands using specific thumb, finger and hand techniques. Stretch and movement techniques are utilized as "desserts" to provide relaxation to the foot. Oil, cream and lotion is not utilized in traditional reflexology work. Tools or instruments- such as a golf ball or wooden foot roller- are used for self help application only. Hydrotherapy can soothe sore or inflamed muscles and joints, rehabilitate injured limbs, lower fevers, soothe headaches, promote relaxation, treat burns and frostbite, ease labor pains, and clear up skin problems. The temperature of water used affects the therapeutic properties of the treatment. Hot water is chosen for its relaxing properties. It is also thought to stimulate the immune system. Tepid water can also be used for stress reduction, and may be particularly relaxing in hot weather. Cold water is selected to reduce inflammation. Alternating hot and cold water can stimulate the circulatory system and improve the immune system. Adding herbs and essential oils to water can enhance its therapeutic value. Steam is frequently used as a carrier for essential oils that are inhaled to treat respiratory problems. Come visit Escape to experience our state of the art facility.